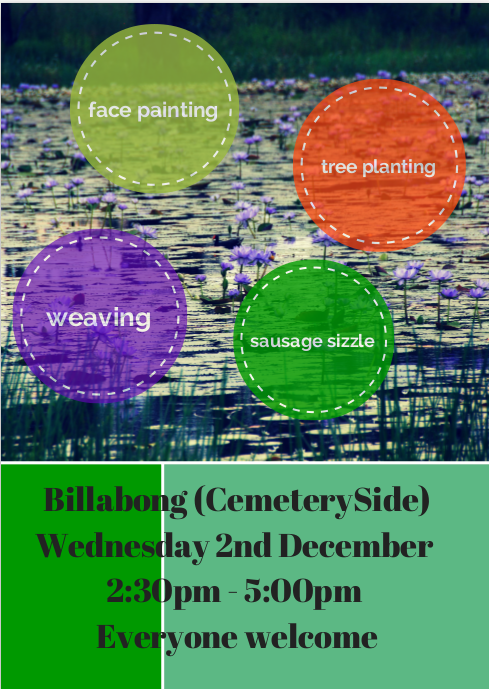 FBEC are hosting community afternoon down at Billabong ( Cemetery side ). The afternoon will include tree planting, weaving, face painting and other eco-activities. A free sausage sizzle will be provided and catered for by FBEC staff. The afternoon will begin at 2:30pm and finish around 5:00pm. This is part of the project to restore the Woorabinda billabong and the start of Junior ranger program.